Sneha Dave is a student at Indiana University studying chronic illness advocacy, journalism and economics. She is the founder and executive director of two nonprofit organizations. She founded the Crohn’s and Colitis Young Adults Network to connect young adults with inflammatory bowel diseases. 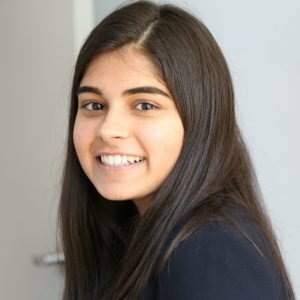 Sneha also created the Health Advocacy Summit, a first-of-its-kind no cost advocacy event for high school and college-aged students with chronic illnesses. She organized the first summit in Indianapolis and is now overseeing its expansion to various locations across the U.S. Sneha also created and now chairs the first and only disability caucus in Indiana, as well as serves on the Women’s March Disability Caucus. She writes for various media outlets and speaks at conferences about topics including chronic illness and disability advocacy. In addition, she consults for Eli Lilly and is on the Pfizer advisory board, where she works to bridge the patient-pharmaceutical company gap. Sneha is an avid wilderness advocate and enjoys mountain climbing. She most recently climbed Mount Kilimanjaro in December and hopes to climb all seven summits. Follow Sneha on Twitter and Instagram @snehadave98.